Thank you to all attendees of the BJGP Research Conference 2019! 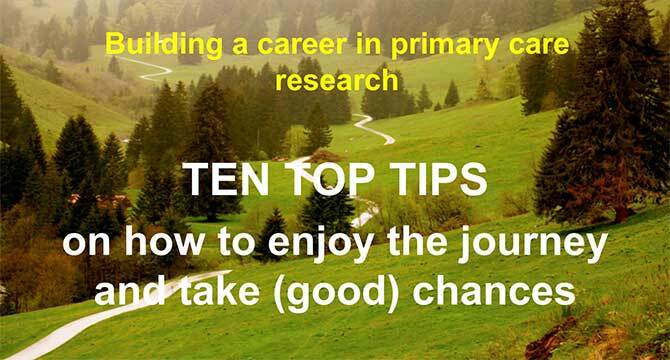 Dr Fiona Walter has kindly made her slides available from the morning plenary: Building a career in primary care research (PDF 1023KB). Follow Fiona @fmw22. Following the success of our inaugural conference, the BJGP Research Conference returned for a second year in 2019. It was an exceptional opportunity for researchers at all stages of their careers to acquire new research skills and present their work in a constructive, peer-reviewed environment. Meet the editors and staff of the BJGP and BJGP Open. More senior researchers wishing to hone or develop their presentation, writing and critical appraisal skills. The 2019 conference was preceded by a half day Research and Writing course, with workshops and masterclasses on topics including conducting and writing up qualitative research, using large databases in primary care research, and developing and validating new research measures. For sponsorship & exhibition opportunities, please email sponsorship@rcgp.org.uk or call 020 3188 7506. Video from the inaugural BJGP Research Conference, 23 March 2018.